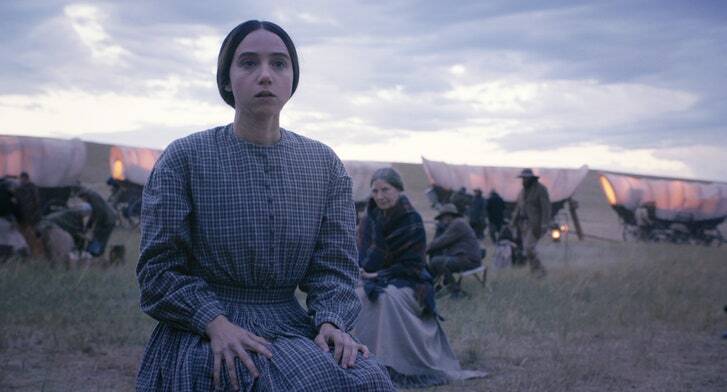 Lacking any satisfactory pay off throughout, The Ballad of Buster Scruggs is a bit of a drag. Featuring six fairly enjoyable stories, it is very easy to get bored and distracted as you make your way through the two-hour collection. However good performances and a consistent tone, typical of the Coen Brothers, save it from being an utter slog. It is a fun time but by the end you might find yourself wondering why you decided to watch it. The answer is inevitably that the Coen’s made it, begging the question, is that all that it takes? Returning to feature films (sort of) for the first time since the disappointing Hail, Cesar! 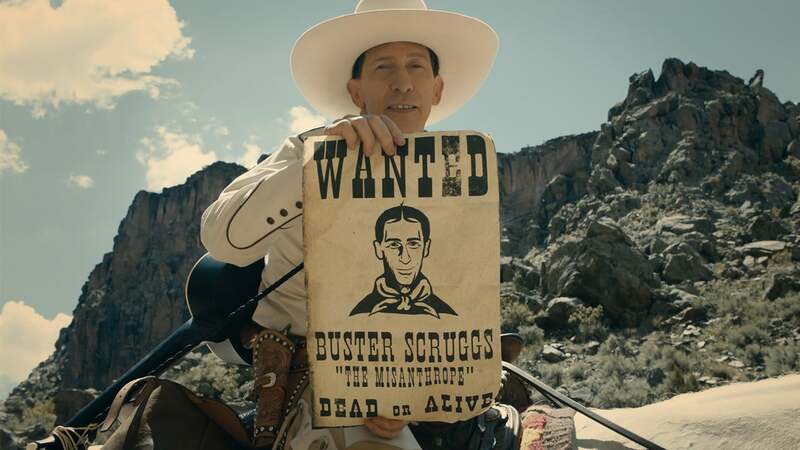 (2016) the Coen brothers direct a Netflix anthology film featuring six stories set in the old west. A collection showcasing typical Coen style from the weird and hilarious to the dramatic and disturbing is a bit hit and miss. Only two of the stories featured can really be considered anything special with the rest all falling into a Black Mirror-esque narrative trap. Coming to the end of the collection you are simply waiting for the dark twist that promises to turn the plot upside down, but because pretty much every feature throughout follows the same structure, by the time the credits roll, you sit looking back on the experience as mostly a waste of time. That is not to say there isn’t good within this strange release. The Coen’s style is just as visually stunning as always and the dialogue living up to what audiences have come to expect. However, it doesn’t surpass anything they have already done and certainly doesn’t have as much of an impact as previous titles such as No Country for Old Men (2007) and Fargo (1996). The film is star studded with many fan favourite actors joining the project and all have good performances drawn out of them by their excellent direction. Stealing the show however is Tom Waits as the Prospector in the story “All Gold Canyon.” The story of one man’s lonely search for his fortune, Waits portrays the calm determination and focus extremely well and by the end of his story you really feel for his trials and tribulations he experiences in his search. 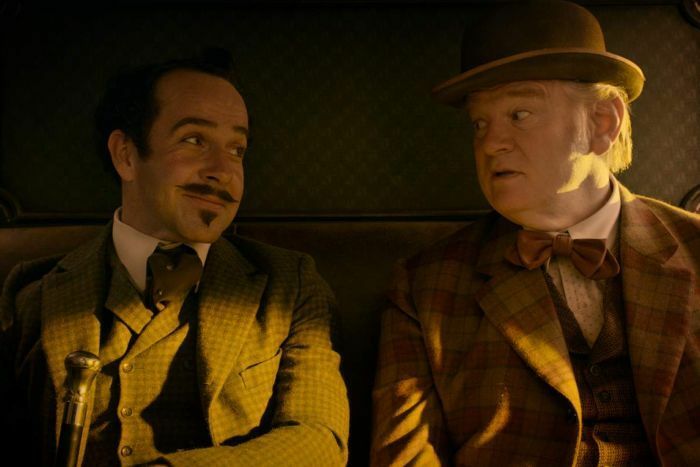 Honourable mention also goes to Jonjo O’Neill who plays the high society social climber in the segment “The Mortal Remains” in which an Englishman (O’Neill) an Irishman (Brendan Gleeson) a Frenchman (Saul Rubinek) a Lady (Tyne Daly) and a crazy Trapper (Chelcie Ross) all share a stagecoach ride together, discussing politics and the nature of man. O’Neill shines head and shoulders above the others in the coach however which unfairly brings the whole story down as the other actors struggle to match up to his performance. Visually as always, the Coen’s do an excellent job. The high contrast colour scheme coupled with the dramatic and yet subdued cinematography we have come to expect creates an excellent atmosphere. Whether searching for gold with the Prospector, robbing a bank with The Cowboy or sharing a stagecoach ride with The Englishman, the tone is consistent and perfectly held. A cross between hilarious, disturbing, real and surreal all at the same time is something the Coen’s have become masters of at this point in their careers and they don’t disappoint. However, it is not a stretch to argue that this style has become formulaic at this point. Much like many great directors the style overtakes the substance leaving little room for any original creativity, something that the Coen’s have burst with in the past, making way for what the audience has come to expect from them. One wonders if during the meetings for the production of this project anyone said something along the lines of “People will watch this because the Coen’s did it,” because at times, it does feel like that. You’re bashed over the head with their typical style and whilst that style is good and entertaining, we’ve seen it before. Without giving too much away it is difficult to discuss the stories featured throughout the collection. Needless to say, however one cannot ignore the potential benefits had they been released as individual episodes as part of a larger TV series or mini-series. The film feels exceptionally long for a 2 hour and 12-minute run time and struggles to hold the attention for that long. It is very easy to lose focus during one story only to find that when said focus is regained, the next story has already begun. Each story is bookended however by the visual turning of pages of a fairy tale like book allowing for the audience member to easily drop out and return at a later time to the film but without any overarching plot or intrigue it is difficult to come back simply to see what happened next. It doesn’t help either that unfortunately the majority of the stories are varying degrees of disappointment. Very few manage to take their story to the full breadth of its potential, with the rest all feeling like snippets from a larger story. Each story ends with the wanting of more from the plot and the characters, only to thrust you into the next set of whacky characters in the whacky world of the west that the Coen’s have created. It never really reaches any particular heights and one would argue this is because none of the stories are really given the time to do so. Whereas as an anthology TV series, length could be added as each story would be self-contained in multiple releases, each could then be moulded individually instead of being crammed into a single package with the rest. It weakens the enjoyment of what the Coen’s were trying to do with this release and unfortunately means the ultimately fail at doing it. 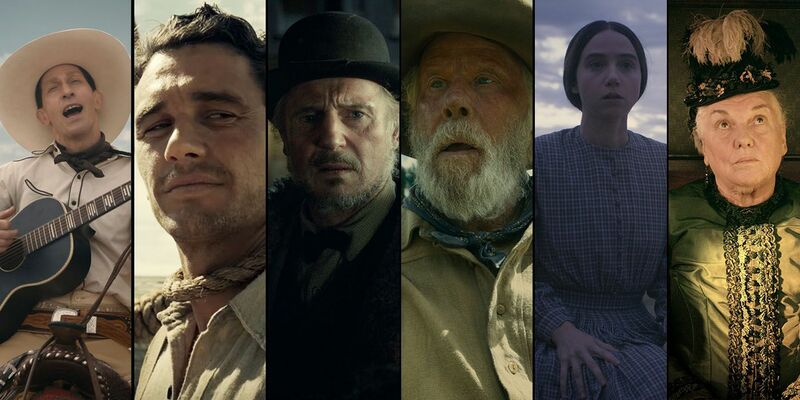 Overall, The Ballad of Buster Scruggs is a disappointing feature since it has to be judged as it was released; a full-length feature film. Separating the stories into individual episodes would have allowed each story to be judged as an individual tale rather than as a segment of a larger overall package. As a result, the film drags on for what feels like forever with little to no emotional pay off in any of the stories with the exception of one in particular. The visual aspect is excellent, the dialogue is typical Coen, the tone is managed expertly and yet, one leaves the viewing wanting more. Few of the stories are satisfying even if they are interesting and the majority of them are enjoyable viewing however, it is unlikely audiences will look back on this collection as something great that the Coen Brothers created and will likely get swept under the rug as just another forgettable Netflix Original which, because of the Coen’s pedigree, is a real shame.